Good afternoon folks! 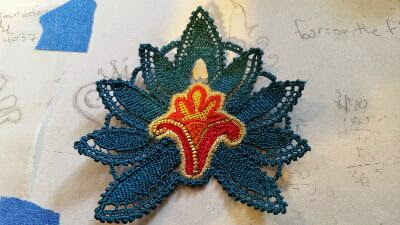 The brooch is coming along very nicely. Stage one of the petals is finished and now it's time for me to mount it on to some organza, and add some pearls and some leaves and then see how far it goes. I like this process of stitching. I'm not sure what the end product is going to look like, but I'm having a lot of fun getting there.